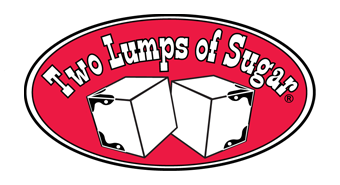 Welcome to Two Lumps of Sugar’s online store. Protect hands with our Silli Mitts (silicone oven mitts) that are heat resistant to 475°. 1 compartment trunk tote, perfect for tailgating! 3-compartment trunk tote, perfect for tailgating! Protect hands with our Silli Hottie (silicone pot holder/hot pad), sold as one piece. girls'ruffle apron, fits clothing size 5-10 approx.